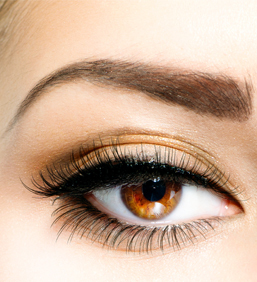 Are you unsatisfied with your eye brows which is growing uneven and getting thin day by day? Do you want to grow your eye brow in natural way which suits your facial appearance then there are many methods which our clinics in UK can provide like Follicle Unit Extract, Follicular Transfer, FUG / Strip Technique, PRP etc, however out of all those methods the best technique which we provide is Follicular Unit transplantation which will provide you with natural looking eye brow. Eyebrow restoration is an ideal treatment for those who are suffering from thinning of eye brow or having less hair on their eyebrows. Such problems may arise due to number of reasons. The major reason may be due to stress or ageing. You must be at least 18 years of age in order to go through surgery. Any problem or allergy with any medication, the list of the same should be provided to our cosmetics surgeon at Nu hair clinic. You must be fit and fine without any cardiac or diabetic problem too. Before going for surgery we always ask our customer to opt for free consultation directly with our surgeons. They will provide you information on all pros and cons, and also provide you time to sit back and discuss with your family and friends. Don’t worry at last you will be taking a wise decision of proceeding further. Moreover, in any free or paid appointment our team will never force you to go for the eyebrow restoration surgery. Follicular Unit Transplantation (FUT) technique involves the removal of donor hair found behind the head or ear. Apart, for this our clinic in UK uses the most advance technique for Follicular Unit Transplantation called robotic system. Under which the donor hair is removed and stitched properly without any visible scars. After that under Follicular Unit Transplantation eyebrow restoration the donor hair is transplanted into the problem areas. The area which is treated or operated with eyebrow restoration will get sore and scab but it will settle down once the healing process is completed. Moreover, in such condition Nu hair clinic in London recommend their client to take rest for week for fastening up process of healing. Like other surgeries, eyebrow restoration will not involve any major risk; but you may experience some minor risk, for which the information will be provided during your consultation and after appointment. Our clinic in UK will provide you the info on risk and complication guide containing all information about the minor risk involved in such surgery. Moreover, after that also if there are any complications then proper medication and guidance will be provided by accredited surgeons. Try to avoid the sweating, as it may lead to infection in the area which is been operated. How much safe is this Follicular Unit Transplantation eye brow restoration technique? Drugs and equipment involved in such eyebrow restoration surgeries are affiliated drugs and equipment and our entire cosmetic surgeon are accredited and well experienced, who will guide you from the beginning about any risk and complication involved, minimum invasive required, it is walk in walk out procedure and does not require taking much rest. Charles was feeling down with excessive loss of the hair from eye brow, he took much treatment, undergoes many different techniques to get eye brow but fails and lastly approach us and we at Nu hair clinic provided them with Follicular Unit Transplantation eyebrow restoration surgery and today he is having good and attractive eyebrows.